You know that bacon grease that you always pour into a glass jar because you’re afraid it will clog your sink? 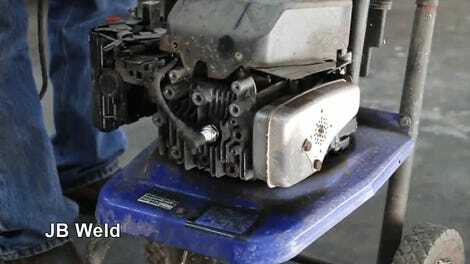 Well, a recent YouTube video shows that, if you warm that stuff up and pour it into your lawnmower’s crankcase, your machine may not immediately blow up! Behold the most helpful consumer advice you’ll witness today. Aside from some elevated engine temperatures, the lawnmower seems to have run quite well for over an hour. Engine compression remained roughly the same after the test, and the inside of the motor appeared to be devoid of any major wear.